Become the strongest version of yourself! Begin your strength journey now, at any age or ability. Maximize your training with one-on-one private coaching. Strength is the most important physical attribute we possess. Strong people are healthier. They live longer, and can DO more. Strength builds confidence. No longer will you wonder what your body is capable of: you will KNOW. Strength gives you an edge. You’ll never be the last one up the hill, you’ll never be the first one to sit down. Strength is useful, every day. Lifting groceries, moving furniture, carrying a child, practicing your sport. What we do at Bay Strength is quite simple: we make you stronger. 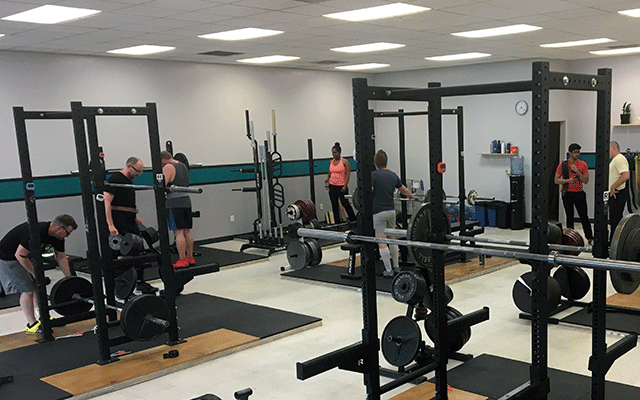 Bay Strength is a personal training and weight lifting studio. We offer private 1 on 1 and small group coaching in the barbell lifts, with customized programming for every age and ability. Our studio features 11 lifting platforms for squatting, bench pressing, pressing, and deadlifting. 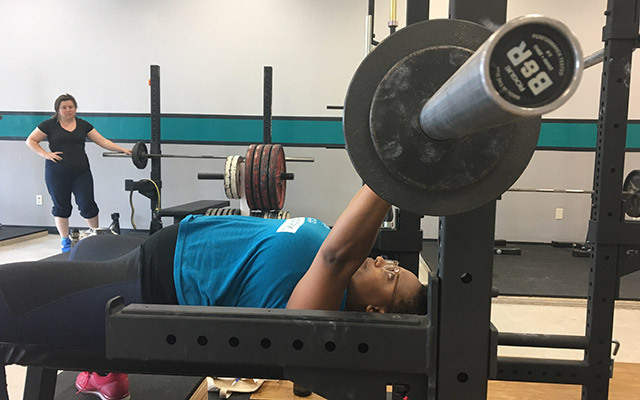 Bay Strength is made up of four passionate and experienced strength coaches: Katherine Bickford, Gwyn Brookes, Kelly Bryant, and Jeremy Tully. Whether you want to be stronger for improved health and everyday life or for athletic performance, we are specially qualified to help you. We are based in Berkeley, CA. Find out what strength training can do for you. 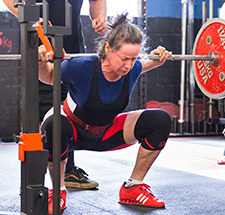 Katherine Bickford is a competitive powerlifter and strength coach in Oakland, California. After years as a competitive swimmer, and several years of a total lapse in physical activity, Katherine discovered strength training. When learning to squat, Katherine couldn’t stand up with her bodyweight! 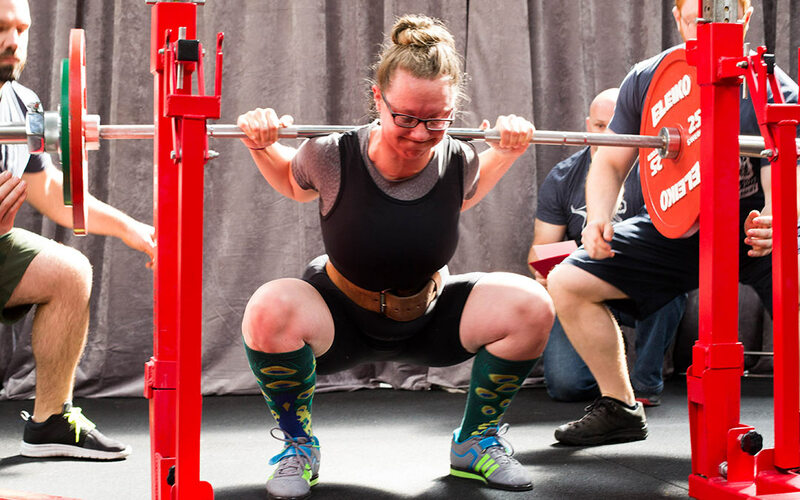 Since starting from zero, Katherine has made barbell training a way of life. She loves helping people discover their strength potential. 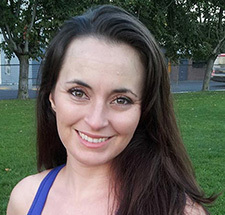 A former professional dancer, Gwyn holds a sandan (3rd degree black belt) in Danzan Ryu Jujutsu and Toyama Ryu Battodo and a yondan (4th degree) in Aikido. In 2008, Gwyn discovered barbell training and realized that getting stronger was the most effective way to continue to do what she loves. She especially loves coaching older adults and helping them regain function in their daily lives. Kelly Bryant is a longtime personal trainer and strength coach who firmly believes that strength training leads to a healthier and happier life. Her mission is to support her clients to become their strongest selves! Kelly’s clients range from trained athletes looking to improve their performances, to older adults looking to improve their health. 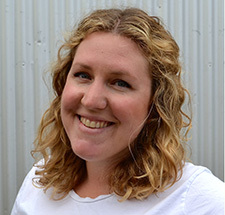 Prior to coaching, Kelly worked as a horse trainer and riding coach, and as a youth counselor. 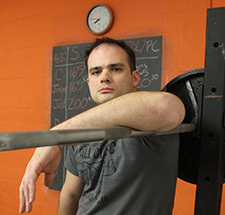 Jeremy has been training and coaching others in the barbell lifts for several years, and a full time strength coach since 2015. A teacher by nature, Jeremy especially loves introducing people to the lifts for the first time. We believe that every person can be a strength athlete. Seniors come to us to maintain their longevity. Women gain new empowerment and physical purpose through strength. Parents are more able to keep up with growing children. Queer and trans people find an environment that is affirming, safe, and welcoming. People of all sizes discover new confidence in their bodies without diet culture. We are proud of how strong we ALL are. Barbell Training: The best strength builder. There are many tools and training methods you can use to increase your strength, but none matches the barbell. Barbell exercises place the entire human body under a load, creating a training stress and adaptation that is without rival. There is no machine exercise that can match the strength training impact of the barbell back squat. And the barbell is for everyone. It can be loaded at very light weights, so that everyone can start training with a resistance they can handle, and then be increased in appropriate increments. Tell us a little about yourself and your training goals. Use the Purchase Training page to pay for and schedule sessions. Gwyn is an awesome coach: kind and supportive, but also rigorous about correct form. She is knowledgeable and enthusiastic, and has a plan in mind for both coaching sessions and the ones on my own. I look forward to going to the gym - and cannot believe I'm saying that! I wish I had known about weight-lifting years ago. I never thought it applied to someone like me. So wrong. Just doing things around the house is easier. Lifting airplane luggage into the overhead compartment - magically lighter. General body wellbeing better. Thanks, Gwyn! Kelly is an awesome trainer! I have had roughly 2 months of training with her (twice-a-week), and I already feel stronger and healthier. She is really passionate about what she does, which makes her a ton of fun to work with. Kelly is highly knowledgeable about aspects of health outside of exercise: we often talk about diet, and she's helped me be more aware of my eating choices. She also recommends great books and apps that have really helped me be a healthier person too. I never used to look forward to going to the gym, until I started training with Kelly! I came to Katherine as a brand new lifter looking to improve my overall fitness in preparation for a 2,500 mile off-road motorcycle race. She's super encouraging, and truly excited about lifting! 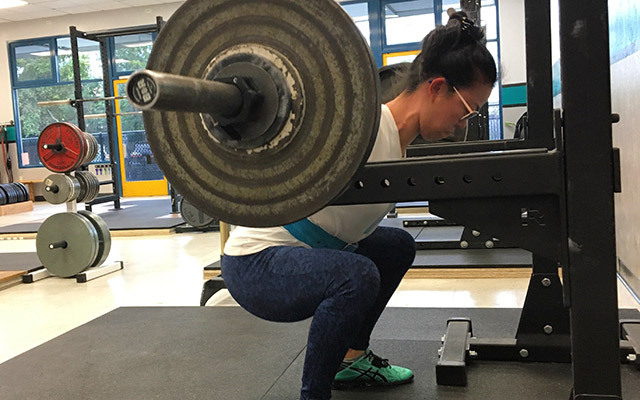 I really appreciate her ability to demystify entire strength training experience--from how the mechanics of individual lifts work to gym culture. I'm amazed at how I've not only gotten significantly stronger in the few months I've been working with her, but my stamina has improved dramatically as well. I am so thrilled to have her in my corner! I drove just shy of 100 miles to meet Jeremy for a personal training session. It was well worth the time and money. He was able to notice and correct my form flaws, and provide correction in a way that helped immediately. Jeremy is very professional, he knows his craft and is capable of teaching in a way that even I could grasp. He is personable, sincere and really wants to make you better. He never once made me feel rushed for time, he wanted me to leave with the confidence that I knew the lifts properly.